Bathed in year-round sunshine, Lanzarote property can be found on this amazingly different island with its incredible moon-like landscape - barren yet starkly beautiful. 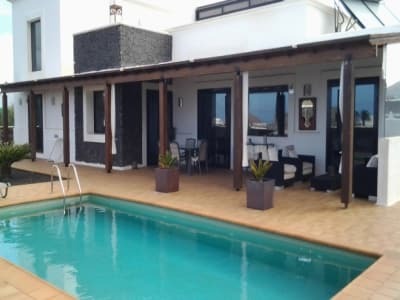 All new development is strictly monitored, keeping Lanzarote property white-washed and low-rise, using natural materials and even restricting the woodwork to two colours of paint ensuring they blend harmoniously with the surroundings. Lanzarote's coastline is made up of long golden stretches of wide sandy beaches punctuated by little coves and bays where watersports abound. 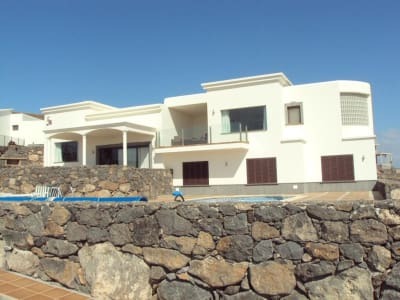 Lanzarote property can be found in many resorts such as Puerto del Carmen, Costa Teguise and Playa Blanca. Despite its barren appearance, Lanzarote is surprisingly fertile and local crops include an abundance of figs and onions. The volcanic landscape has its own particular fascination and the careful attention to tradition and development has ensured Lanzarote retains much of its original character and culture. 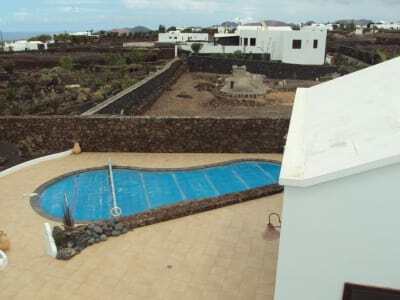 Lanzarote's oldest and most popular resort is Puerto del Carmen, once a small fishing harbour, it now spreads along its wide beach of volcanic sand with a host of Lanzarote property such as villas and townhouses within an easy walk. The town has a wide selection of shops, bars and restaurants and also boasts the liveliest nightlife on the island. 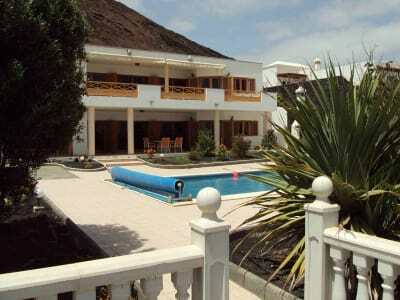 A quieter resort is Playa Blanca on the southern tip of Lanzarote. Set around an attractive harbour, from which the ferry to Fuerteventura departs, it is still a relaxed and low key village with a small range of shops, cafes and restaurants. 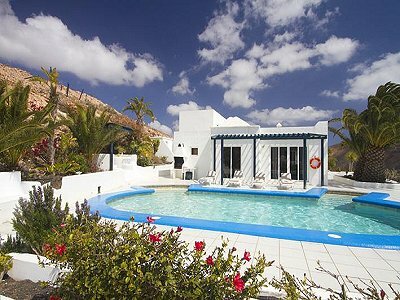 Those looking for a relaxed atmosphere would do well to consider buying Lanzarote property in Playa Blanca. There is a good sandy beach, along with some of the best beaches on the island close by including the famous Papagayo nudist beach. Worth visiting is the Timanfaya National Park with its famous, 'Montañas del Fuego' (mountains of fire) and a huge expanse of lava fields. Admission includes a fascinating guided coach tour with the opportunity to take a camel ride up the side of a volcano and eat in the park's restaurant where all the cooking is done with natural heat from a volcano. There are numerous water sports available - windsurfing is a particular favourite, along with diving. 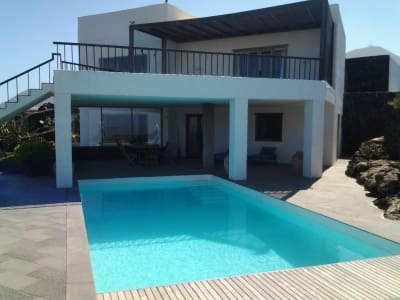 There is an 18 hole golf course situated in the modern, purpose built resort of Costa Teguise.